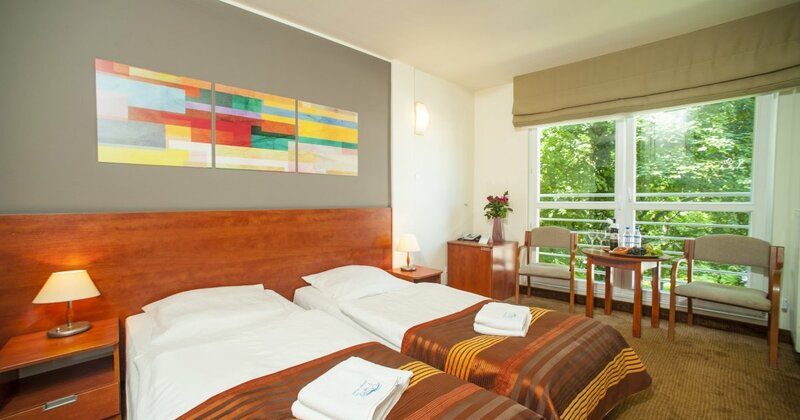 Family rooms feature two single beds, a foldaway bed, a fully equipped kitchenette with a fridge and a sitting area. The room comes with a telephone, TV, Wi-Fi, a bathroom with a shower and a hairdryer. The windows and balcony overlook the beautiful Spa Park or the resort’s garden. Rooms are cleaned on weekdays. The family room rate is for 3 adults or 2 adults and 2 children under 16.